Application Options – When do I use 1 or 2 kits? When considering the best application option, whether to use one or two, base your choice on the length of your hair and the percentage of grey at your roots. If you are considering the Half Kit Application method, be certain to mix the correct weights and store remaining product correctly. Short hair that is 5 -15cm in length or shorter. Consider this method when doing roots on normal to fine hair, with a grey percentage of 30% or less. Consider this approach when doing roots on normal, fine or thin hair types with a grey percentage of less than 50% grey. New growth hair measures between 15- 30cm in length. Very coarse and thick hair. The percentage grey hair is over 50%. Untreated (natural hair) no longer than shoulder length. Resistant or stubborn grey hair. White hair is not ideal for HAIRPRINT. However, if you really want to see if there is any memory left in hair totally devoid of pigment and maybe memory, (the map where the pigment should be naturally) we would suggest you continue applying the Restore step until you get the deposit of the Hairprint natural pigments back into the hair. At this point, you would apply the complete step. Your hair will reveal whether it will accept the mimicry of Hairprints pigments. This may be a long and expensive exercise, generally not advised. Begin your HAIRPRINT treatment with our Clarifying, Chelating or Exfoliating shampoo. 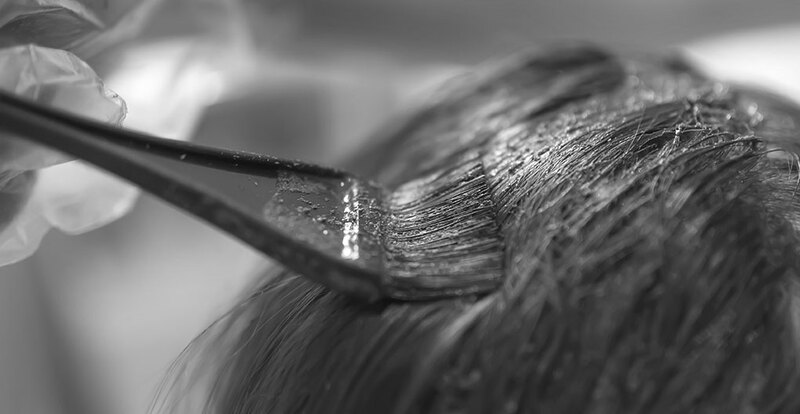 For the best results, make sure that your hair is residue free.